"Michael O’Shea’s sole, breathtaking album ranks among our favourite of all time - yet hardly anyone seems to have heard of it.? Produced by Wire's Bruce Gilbert and Graham Lewis at the Dome studio in 1982, it's an utterly singular work of magick, meshing myriad, worldly modes into music that rarely fails to reduce us to tears.? It's one of those albums that basically sounds like nothing else - the only record we can draw some parallels to is Dariush Dolat-Shahi's life-changing Electronic Music, Tar and Sehtar, despite it coming from the other end of the world. Aside from his two contributions to the Stano album, "Content To Dine In I Dine Weathercraft" (also recently reissued by Dublin’s Allchival), O'Shea's first and only album is the main point of reference for this unique artist.? 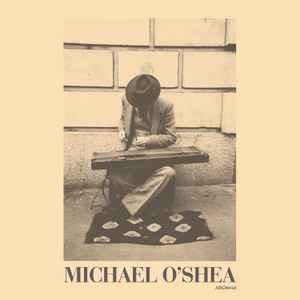 Like some eccentric expression of ancient Indo-European voices channeled thru a Celtic body, Michael O'Shea's improvised acousto-electric music intuitively distills a world of styles into singularly hypnotic works.? 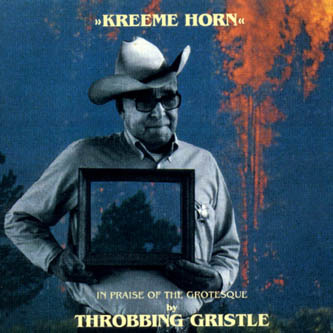 Using his self-built instrument; a hybrid of a zelochord and a sitar, made on a wooden door salvaged in Munich, and with the crucial addition of electric pick-ups and the "Black Hole Space Box," O'Shea would absorb sounds from his travels like a sponge, and relay them back thru the instrument with effortlessly freeform and achingly lush results as elaborate as a Celtic knot or elegant as Sanskrit text. The mercurial flow of syncretised styles in 15 minute opener "No Journey’s End" catches your breath and doesn’t give it back, leaving us utterly light-headed and feeling something akin to religious experience, before his "Kerry" vignette most beautifully limns the epic coastline he hails from.? The plasmic swirl and phasing of "Guitar No. 1" is perhaps the one piece that time dates the LP to the post-punk era, even if it could have come from ancient Mesopotamia, while the album and artist's underlying metaphysics bleed thru most hauntingly in the timbral shadowplay of "Voices," and the rapidly tremulous, animist voodoo of "Anfa Dásachtach."